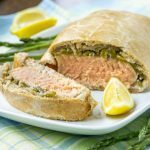 This quick and healthy Salmon en Papillote brings light lemon and earthy rosemary together in a beautifully steamed package for a dinner recipe that is simple to prepare and easy to clean up. 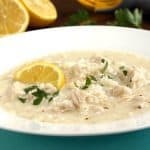 En papillote (pronounced ahn pop-pee-YOTE) is a classic French cooking technique in which light ingredients, typically fish and vegetables, are steamed inside of a paper parcel. If you’ve ever cooked ingredients in an aluminum foil packet (say, on the grill or over a campfire) then you’ve cooked ‘en papillote’! In French, papier is the word for paper and papillon is the word for butterfly. Often you will find the parchment paper used for the parcel cut into the shape of a heart or butterfly, with the food placed on one half and the other half folded over and then sealed. Rather than go with the butterfly/heart method, we find it easier to simply place the food in the center of a large piece of parchment paper. Then, we bring the top and bottom over the food, folding the edges together to tighten the package. Finally, we fold the sides together and tuck them under the package. As the steam builds, the moist parchment creates a nice and tight seal, keeping all that tasty moisture working inside. We’re talking seriously easy. Put all of your ingredients on a piece of parchment (or aluminum foil). Season lightly. Wrap it up. And bake. All in all, we’re talking about a super healthy meal that you can have on the table in around 30 minutes! Speaking of healthy, one of the nice things about cooking salmon en papillote is that you don’t have to add any extra butter or fat to your ingredients. Some recipes will add butter for flavor, but we prefer to let the simple ingredients speak for themselves. And, you’ll see, the dish is rich in flavor just as is. Something about steaming a heartier fish, like salmon, brings out a creamy, almost buttery flavor and texture. You’ll taste it as you bite into the flaky fish, and you’ll taste it in the green beans too. 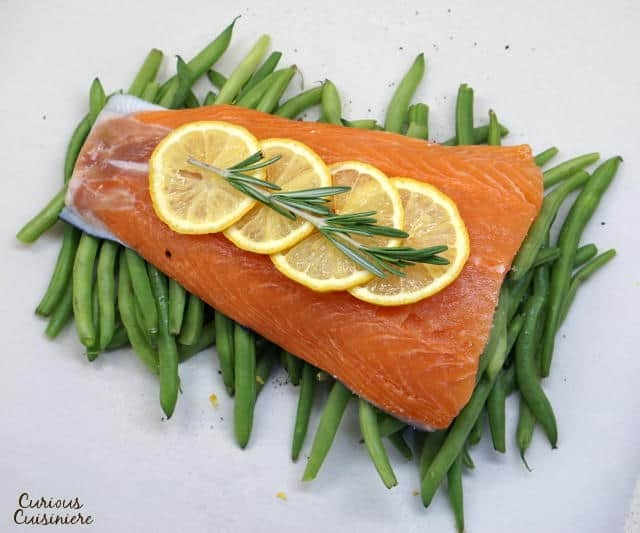 We loved the way the brightness of the lemon mingled with the rich salmon and earthy notes of the rosemary in these packets. 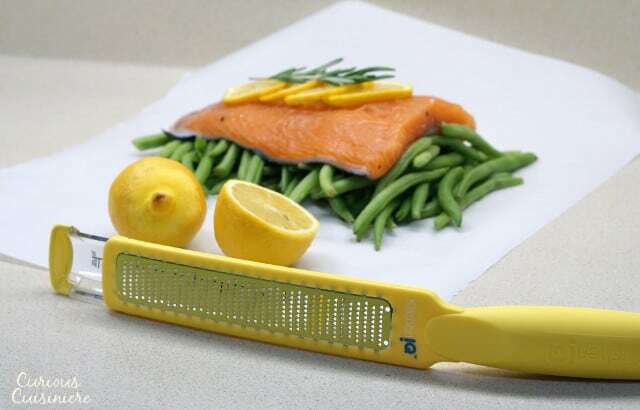 We used the Better Zester from Kitchen IQ to zest our lemon, and we loved that the zester has a storage container that catches every last bit of that beautiful zest. The traditional way to serve a dish cooked en papillote is to make one parcel for each person at the table. That way the parcels just go from the oven to the plate, and everyone gets to smell the wonderful aroma as they open their own little bundle of goodness. But, we like to think these packets are perfect for sharing too. Tuck two or more servings into an extra-large piece of parchment and cook away! There’s nothing more romantic for a date night than eating from the same plate (or parcel)! 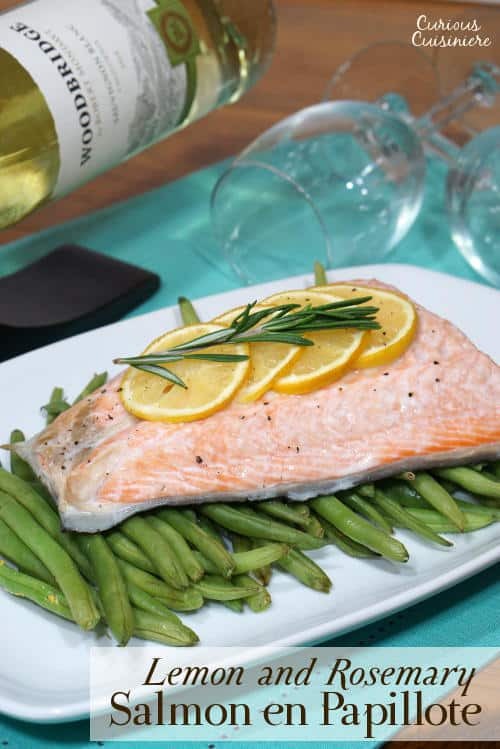 We paired our Salmon en Papillote with a Woodbridge by Robert Mondavi Sauvignon Blanc. The wine greets you with a lovely scent of lemon and green apple, and the first sips bring notes of citrus and pineapple. 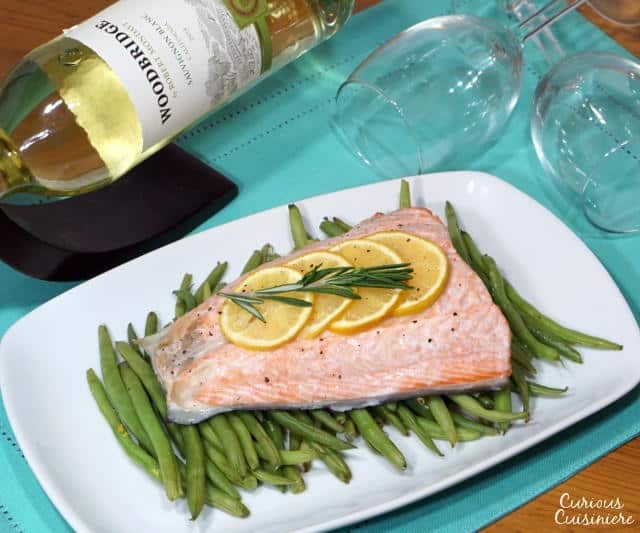 This smooth and fruity wine would be a wonderful, medium dry wine for sipping solo, but we loved the way it paired with the light green beans and the bright lemon-infused salmon. 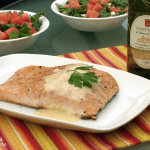 A bright and fresh salmon preparation with easy clean up! With a short side of the rectangles of parchment close to you, place ¼ lb of green beans in a strip from left to right across the center of each rectangle of parchment paper. Season the beans with a sprinkling of lemon zest, salt, and pepper. Strip one rosemary sprig of the leaves and scatter the leaves over the beans. 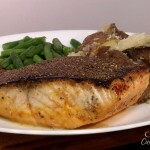 Place the salmon over the green beans, skin side down. Lightly salt and pepper the salmon. 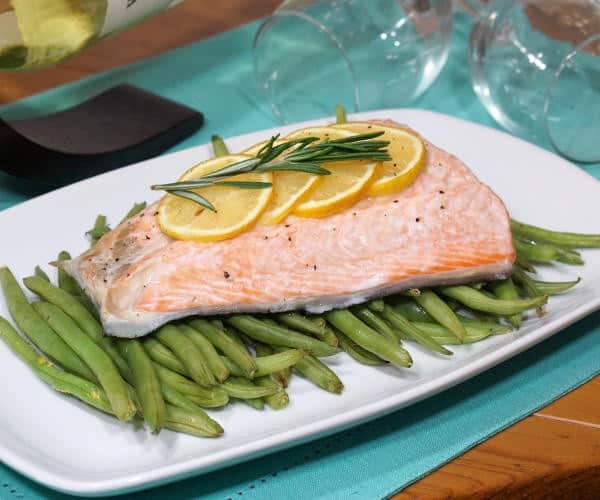 Squeeze a little juice from the zested lemon halves over the salmon and place 3-4 lemon slices over top of the fillet. Lay a half of a rosemary sprig over top of the salmon. 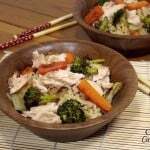 Serve with rice, noodles, or roasted potatoes. 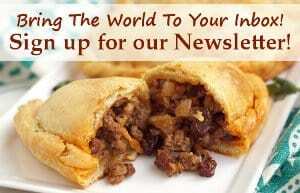 *The packets can be prepared up to this point and refrigerated for up to 4 hours. Remove them from the refrigerator 30 min before cooking. 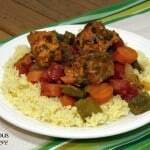 DISCLOSURE: We received samples from Kitchen IQ and Woodbridge Wines featured in this recipe. We were not compensated for our time. As always, all opinions are our own. 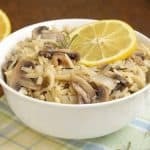 Lemon and rosemary (and wine)! What a great combo! i nearly always cook salmon this way these days – in foil at least and with lemon, though I must try rosemary as well some time. We loved the way the rosemary added a nice depth to the lemon flavors. It’s perfect for winter. En papillote is one of our favorite ways to cook fish! So easy. And so tasty. Thanks for sharing this with #FreshTastyValentines. Thanks Camilla! It is going to become a go-to in our house. 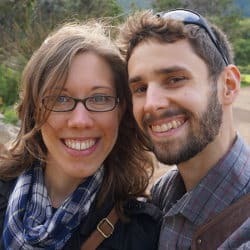 We love how easy it is! I’ve cooked inside of a foil packet but I don’t think I’ve ever done parchment. I’ll have to try it one of these days. Foil or parchment, the concept stays the same. We think parchment is just so pretty for serving indoors. Aluminum foil packets are always our go on on the grill or while camping. 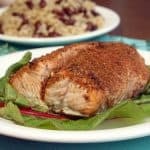 Perfect recipe Sarah, pinned to the Fish Friday Foodies board. I love cooking fish en papillote!